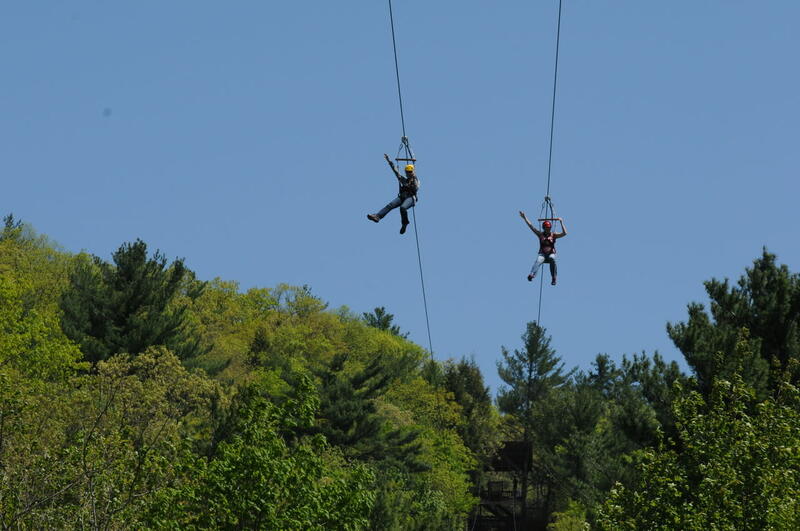 Ride our thrilling dual racing zip lines, over 3,000 foot long, from our mountaintop overlooking the Delaware River down to the valley floor. 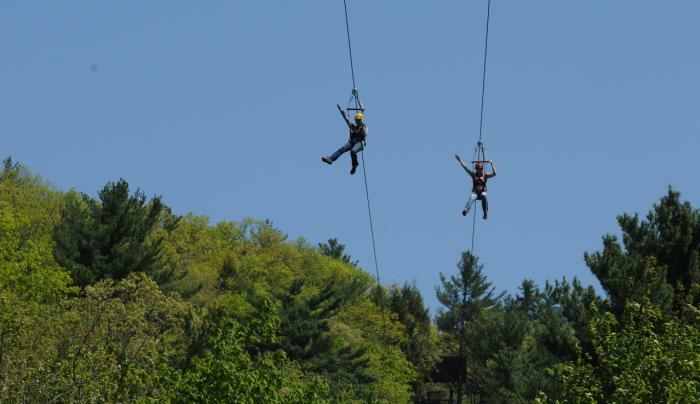 This is one of the longest and exciting zip lines in the U.S. Saving packages on river trips, paintball or camping. Open Mar-Nov.